One of the best things about Snipcart is how quickly it can be used to turn any site into a working store. The Snipcart plugin will help you get your store running even faster with Craft CMS and integrate more deeply, even if you've never used Snipcart. Browse store details from the control panel. 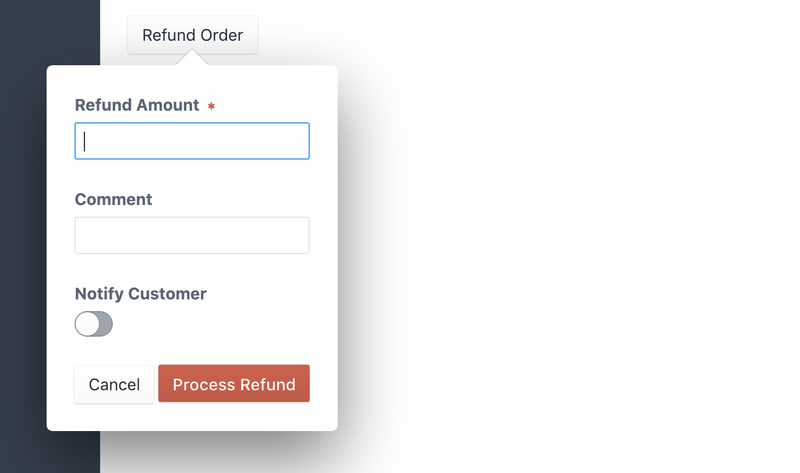 Create discounts and refund orders from the control panel. Add custom functionality with powerful webhooks. # Super fast store setup. Use the included Product Details field type and automatically handle things like unit conversion and quantity adjustment. Add the cart system to your frontend, a cart link with an item count, and simple or complex Buy Now buttons with included Twig tags. # Browse store details from the control panel. 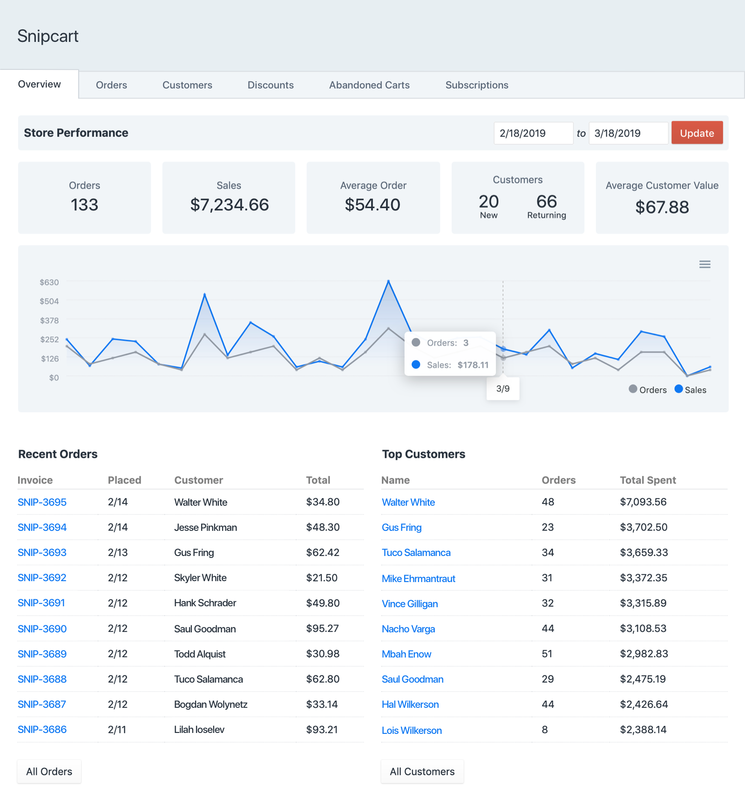 Control panel section with sales stats, orders, customers, discounts, abandoned carts, and subscriptions. # Create discounts and refund orders from the control panel. 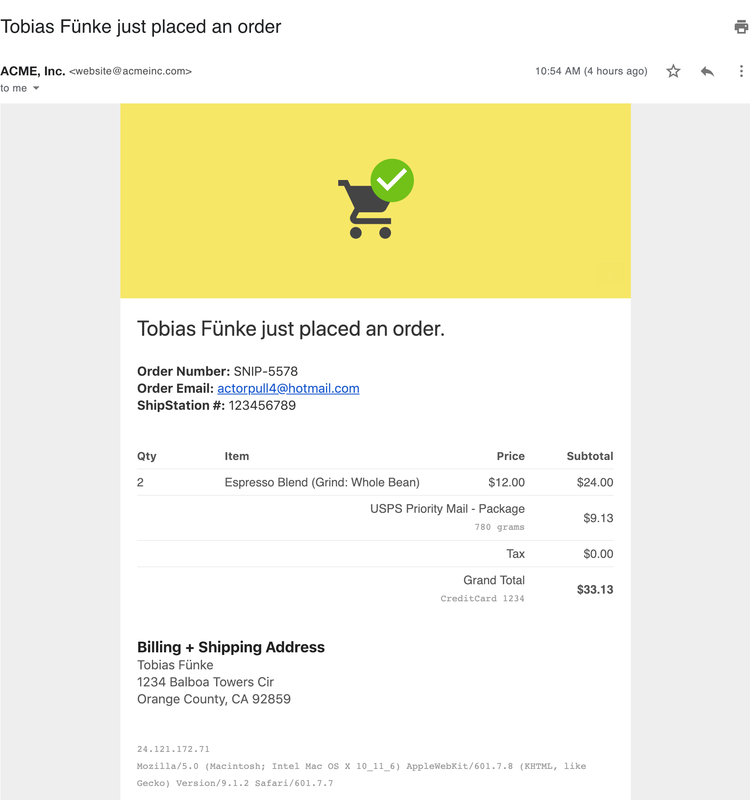 # Email custom order notifications. Use included store admin and customer order notifications, optionally using your own Twig templates. You can also hook into events to send notifications (email, Slack, etc.) for whatever you want! # Add custom functionality with powerful webhooks. Integrate your own store logic with more than ten different events. Manage shipping rates, inventory, and email notifications, and more. Snipcart's focus is on quick site integration, so a lot of complex store functionality is handled by a hosted service. The Snipcart plugin relies on Craft and Snipcart's REST API to more tightly integrate the two and reduce your setup and development time without sacrificing the ability to have a full-featured store. 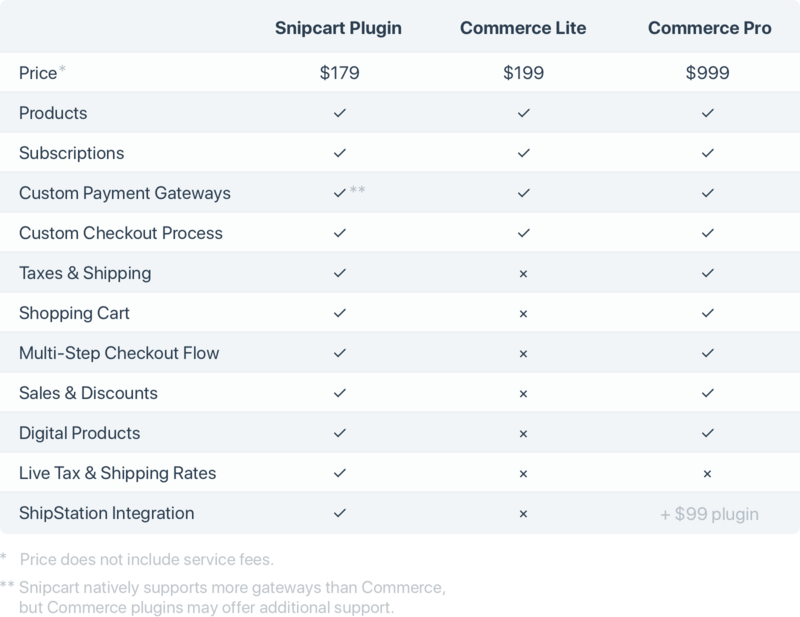 The Snipcart plugin is great for stores that don't require the full complexity of Commerce Pro, but would be too limited by Commerce Lite.